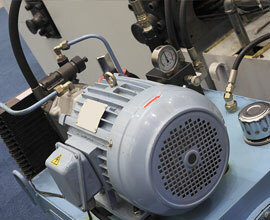 Fixall Electric will expertly repair many types of electric motors. environmental, fluid movement, printing, construction and golf industries. of new options that will keep things running without breaking the bank. Fill out our quick estimate form below or click to call us now! 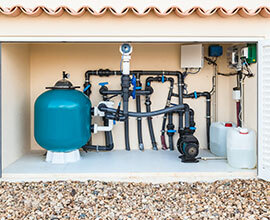 From small pool pumps and ceiling fans to industrial HVAC blowers and hoists, Fixall will help you get your motor running. 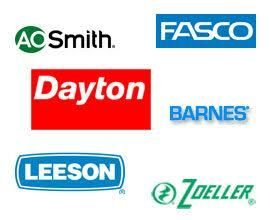 Our experienced salespeople will help you replace or upgrade your electric motor with expert advice on quality brands we trust. 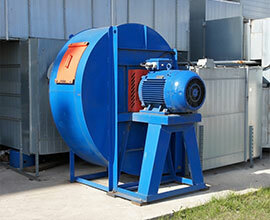 Non-functioning motors cost your business time, money and lost productivity. Our skilled technicians will help you get back to work. After 66 years in business, odds are we’ve either repaired or sold the motor you need. We only sell top-quality, proven brands. While high tech electronic gadgets rule our daily lives — individuals and businesses in Grand Rapids still rely heavily on electric motors to get through the day. From opening your garage door and adjusting your central air to powering industrial hoists, fans and pumps, most motors go unnoticed until they stop working. Fortunately, for over 67 years, family-owned and operated Fixall Electric Motor Service has proudly serviced the small and large motors that keep us moving forward. Our third generation Grand Rapids motor repair and sales business specializes in fixing electric motors that can be repaired — and helping you replace those that cannot. Fixall Electric Motor Service stands ready for any size motor repair challenge you face. Our experienced and knowledgeable Grand Rapids motor repair technicians service commercial, residential and industrial motors of all sizes. 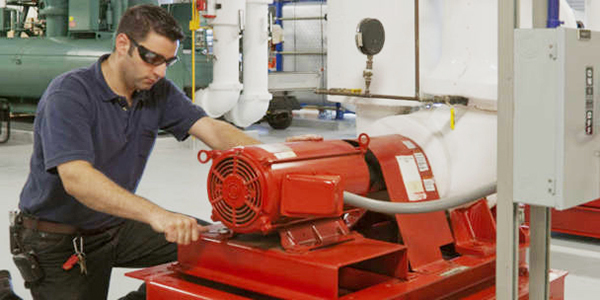 From simple pool pumps, fan blowers and AC units to complex industrial furnaces and fluid movement systems — we’ve seen and repaired them all. In cases when it may be more cost effective to replace your motor with a newer model, our technicians can help you select the best option. You can feel confident choosing from our wide range of high quality, brand name electric motors. In addition to focusing on small motor repair for our everyday Grand Rapids residential customers, Fixall also supports many West Michigan businesses with ongoing sales and support. We are also trusted by government municipalities and have provided motor repairs and sales for the State of Michigan, National and State Parks and the various city organizations. We also have experience working with a variety of industrial, manufacturing and service industries, including printing, HVAC, farming and turf management, environmental, fluid movement, construction and masonry. Next time your Grand Rapids electric motor stops working, let our professional technicians fix the problem so you can keep things moving forward — while saving you time, money and stress. For more information about Grand Rapids electric motor repair and sales, please contact us here or call our shop at 616.454.6863. Copyright © 2018 Fixall Electric Motor Service. All Rights Reserved. A locally owned and operated, third-generation family business serving West Michigan since 1967, Fixall Electric Motor Service proudly supports residential, commercial and industrial customers throughout Grand Rapids and all other local Michigan cities, including: Kentwood, Wyoming, Ada, Forest Hills, Cascade, Rockford, Byron Center, Caledonia, Walker, Cedar Springs, Sparta, Jenison, Grandville and all other surrounding areas.